A feature worth commenting, which is also related to lens brightness, is that the brightness and maximum aperture-value remains constant regardless of focal length used. This makes it easier for you as a photographer. No matter if you are have the focus ring and focal length at 200 mm or at 500 mm the aperture value can be f/2,8. 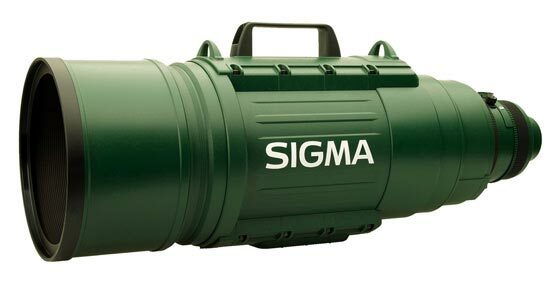 Text from Sigma: "Designed for use with full frame digital SLR cameras. May also be used with smaller APS-c size sensors with a corresponding effective increase in focal length to about 225mm with most cameras.